AWAKE gives undergrads more energy to do what they love. They just didn’t know it existed. So we created an integrated campaign and digital activation to spread the word. The boost paid off: AWAKE sales rose 21% in the months after this campaign launched. But what they really need? More time. 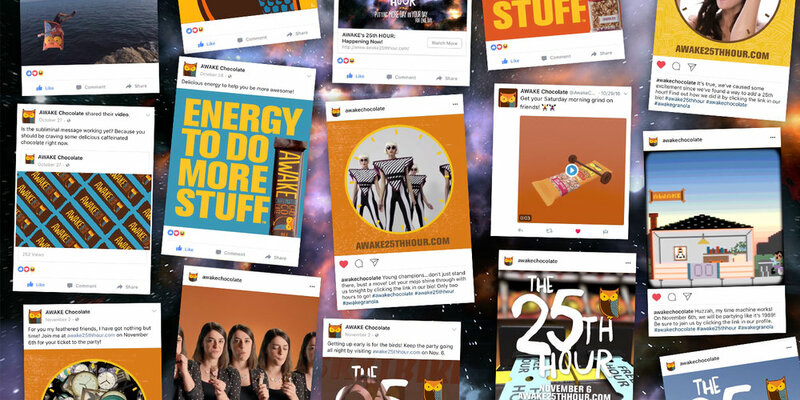 So we hijacked the end of Daylight Savings and took credit for the extra hour, pushing fans to celebrate at The 25th Hour - a digital experience jam-packed with video content, games and giveaways.